HARRISBURG (WSKG) — A newly published report shows state House Democrats have paid $600,000 in taxpayer money to settle complaints against four lawmakers over the last decade. Two of those were sexual harassment complaints–including one against 21-term Representative Thomas Caltagirone that cost nearly a quarter of a million dollars. According to documents obtained by the Philadelphia Inquirer and Pittsburgh Post-Gazette, the House Democratic Caucus paid $248,000 in 2015 to settle a complaint from one of Caltagirone’s staffers. It apparently involved years of physical and verbal harassment. The settlement included a nondisclosure agreement. After the deal, the Berks County Democrat won an uncontested race for a new term in the seat he’s held since 1977. This wasn’t Caltagirone’s first sexual harassment complaint. In 1994, a female staffer said he’d exposed himself to her and threatened her with a gun. But Caltagirone denied it and the case was never prosecuted. He has not responded to requests for comment. He later issued a more detailed statement. He also differed slightly with the Post-Gazette and Inquirer’s report of the total settlement cost since 2007, saying it was $514,300. 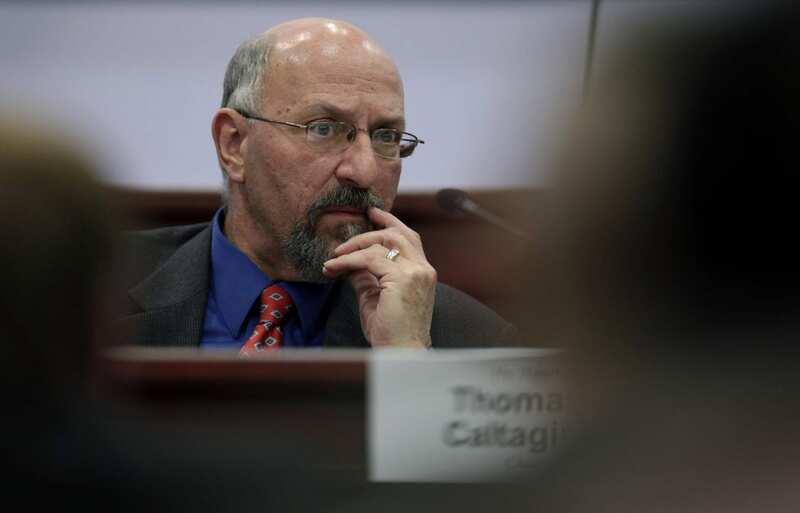 The report on Caltagirone’s settlement is the second one in recent days about sexual harassment by Pennsylvania lawmakers, and comes amid a flood of such stories nationally. Daylin Leach, a progressive Democratic Senator from Montgomery County, has also been accused of inappropriate behavior with various women, who spoke to the Inquirer and Post-Gazette. However, there was no official charge or settlement in that case. Leach has since said he’s “taking a step back” from his Congressional campaign. Governor Tom Wolf, a Democrat, has called for both Caltagirone and Leach to resign. This story has been updated to reflect a more detailed statement from House Democratic Leader Frank Dermody, as well as Governor Tom Wolf’s call for Caltagirone to resign.